Empire State South’s new executive chef, Adam Waller, has an unfussy style that pairs well with that of the restaurant’s expert beverage director, Kellie Thorn. A lot can change in eight years. Smith left in 2013 and, two years later, co-opened Staplehouse, a restaurant that went on to capture the evolution of food, period—in Atlanta and beyond. Empire State South, meanwhile, persevered as a less revolutionary destination; on our most recent 50 Best Restaurants list, Empire State South barely held on at number 48 (it was number six in 2011) while Staplehouse took the top slot for the second year in a row. It therefore might be surprising that Empire State South’s next chapter, under newly installed executive chef Adam Waller, marks a deliberate return to the basics. Waller’s dishes are more conceptually straightforward than Empire State South’s have ever been—and yet those dishes manage to make the restaurant feel more relevant. 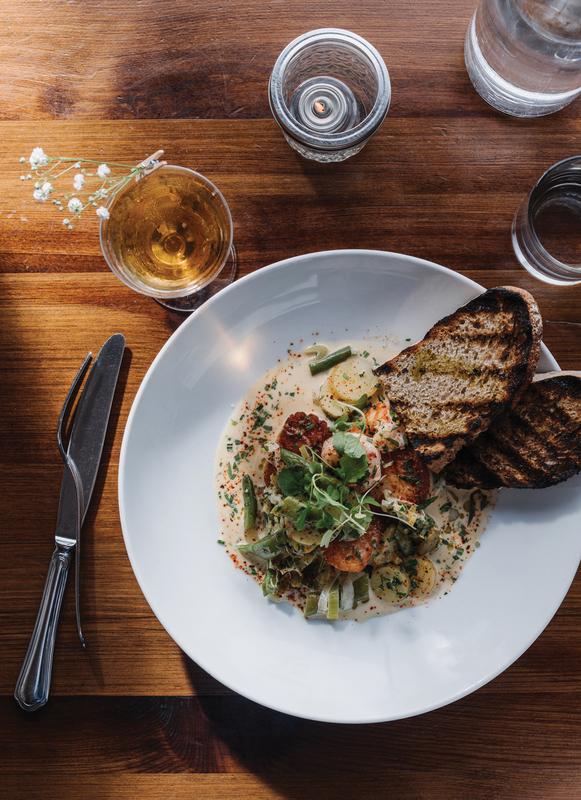 Empire State South once helped reinvigorate Southern food. Now, Waller is helping reinvigorate Empire State South. Acheson’s first two restaurants (Five & Ten and the National, both in Athens) established him as a chef of exceptional finesse. Cookbooks, television appearances, and a relentlessly entrepreneurial spirit nourish his fame, but one of his greatest strengths is his willingness to give his chefs the freedom to develop their own talents. That was evident with Smith; with Smith’s successor, Joshua Hopkins; and now with Waller, who took the reins in May. Marietta-born Waller, a former Marine, earned a name for himself at Bocado as a chef who lets ingredients shine without fussiness and makes a simple dish exponentially better through his prodigious attention to detail. His style pairs beautifully with that of beverage director Kellie Thorn, who oversees the restaurant’s standout cocktail menu, and the equally brilliant Steven Grubbs, the partnering wine director who curates the restaurant’s unconventional yet accessible list. 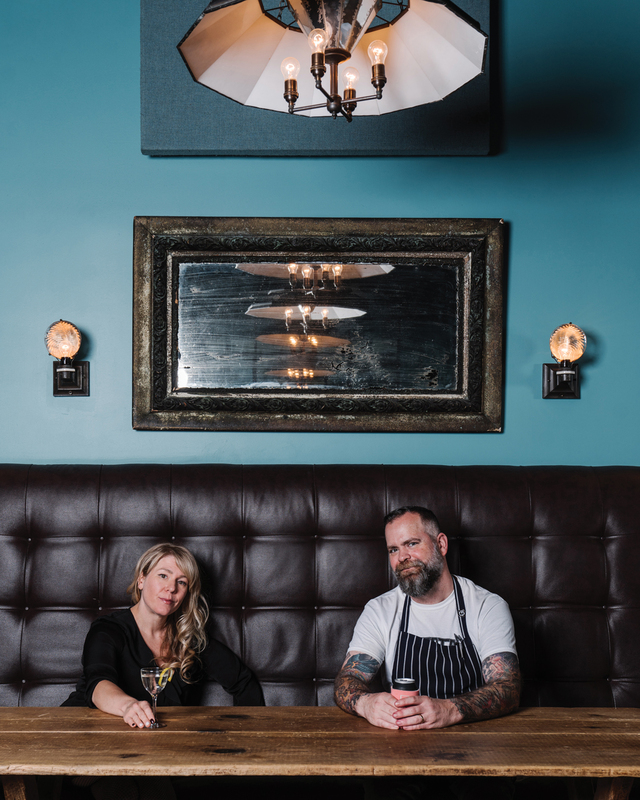 Thorn and Grubbs, who’ve been on board since day one, have become part of Empire State South’s—and the wider Atlanta drinking scene’s—DNA. As a chef, Waller wears his Southern identity lightly, but his food is still unmistakably of this region. He sources local vegetables of exceptional quality and deftly lets those flavors steer. 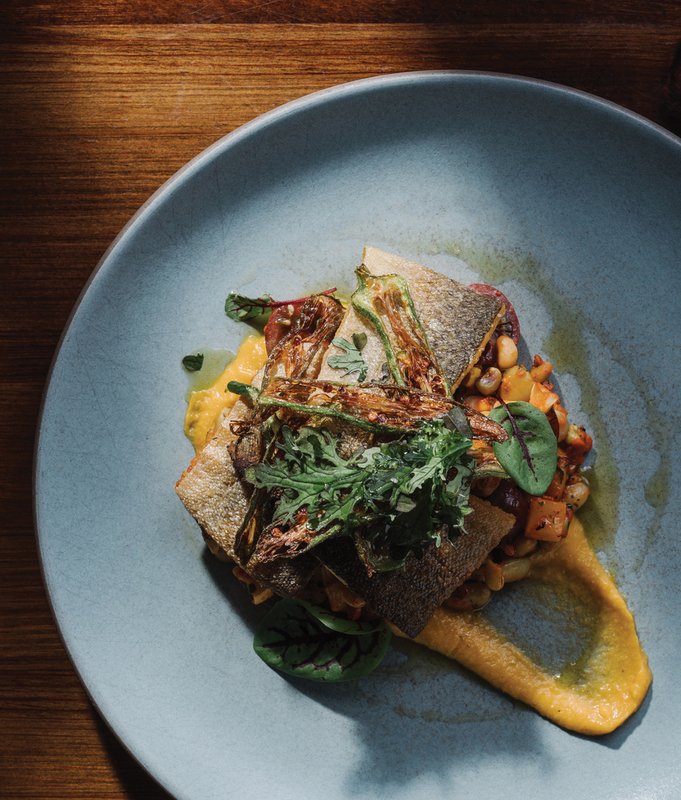 His succotash, bound with corn puree, all but steals the spotlight from the accompanying (and impeccably sweet) catfish or trout or snapper. Leeks, fennel, and little potatoes help bring to the surface the freshness of the scallop and red shrimp in an elegant billi bi soup made delicately spicy by Espelette pepper. Depending on the season, he will scatter grape tomatoes, fingerling sweet potatoes, Romano beans, or tender cubes of butter squash in dishes ranging from Chinese forbidden rice to Bear Creek grassfed beef. Ironically, Waller’s borderline rustic approach is advancing the restaurant in ways that his predecessor Hopkins’s more modern and, at times, aggressively Asian style did not. Waller makes his own pasta. He simply pairs creamy burrata with grilled housemade pain au levain, and it’s the best version of the ubiquitous dish you’re likely to find. It’s also worth noting that Waller has kept the restaurant’s most iconic dishes, including the pimiento cheese “snackie” and the texturally enchanting farm egg on crispy rice with beef and mushroom sausage, shiitake, and corn. His superb editing skills, at both the dish level and the menu level, help raise the bar. Thorn’s exquisitely built—and often low-proof—cocktails tend to employ sherry, madeira, and seasonal fruits reduced to their essence. She can read your mood and smartly suggest either a Garden Hour (cognac, cantaloupe, Quinaquina, elderflower, celery bitters) or a Gold Cycle (Amontillado sherry, aged cachaça, pineapple liqueur, absinthe), each served in a perfectly chilled glass. Grubbs’s highly creative wine pairings (for example, a dense, almost oily Gavi di Gavi to go with the grouper) will leave you in awe of his deep knowledge and playful edginess. The decor has an inoffensive timelessness, with wood paneling and soft light lending a lived-in feel that’s underscored by the well-attended bar. The terrace overlooking a bocce court ringed by adirondacks is a splendid gathering spot for an impromptu al fresco meal or a planned event. In short, the space, no longer trendy, is more hospitable than ever. In the age of experimentation, delicious food and exceptional drinks aren’t enough to ensure a restaurant’s momentum. 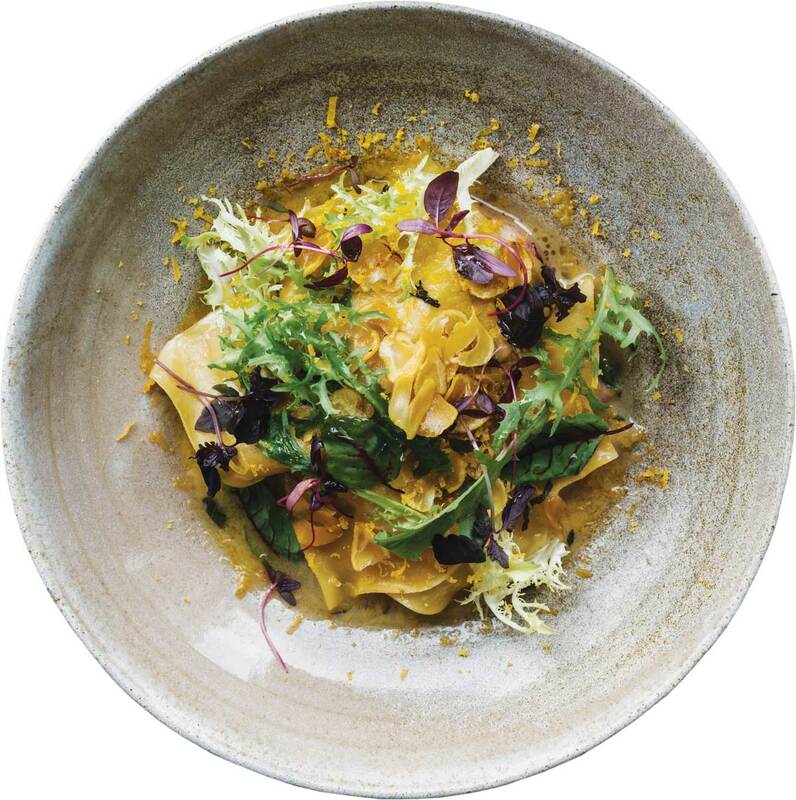 But despite no longer being the most innovative game in town, Empire State South has now reached its most harmonious phase under a new executive chef who prizes the simplicity of food over its reinvention.